Background Although it can result in serious complications due to its narrow therapeutic index, warfarin is widely used in the treatment and prevention of thromboembolic disorders. However, patients’ adherence and knowledge are determinants of therapeutic success. Objective We sought to validate instruments to provide a reliable means of identifying gaps in patient understanding and nonadherence to inform targeted pharmacists’ interventions to improve these measures. Methods A cross-sectional survey was conducted. Patients’ knowledge about warfarin was rated using an Arabic-language tool. Medication adherence was assessed using the eight-item Morisky Medication Adherence Scale (MMAS-8). The international normalized ratio (INR) control was quantified by the Rosendaal Method. Setting At the Security Forces hospital anticoagulant clinic (ACC), Riyadh. Main outcome measure Validity of a Knowledge and adherence tool. Results Totally, 101 patients completed the questionnaires. Interestingly, the knowledge tool demonstrated good internal consistency (total Cronbach’s alpha = 0.75) and significant concurrent validity with adherence levels. Fifty-two patients were classified as having unsatisfactory knowledge. Deficiency in knowledge was most obvious with respect to the consequences of missing a dose and when to seek immediate medical attention. The MMAS-8 had moderate reliability (Cronbach’s alpha = 0.65); however, its concurrent validity with good INR control was not demonstrated. Conclusions This study revealed high prevalence of nonadherence and poor knowledge in the population visiting the ACC. 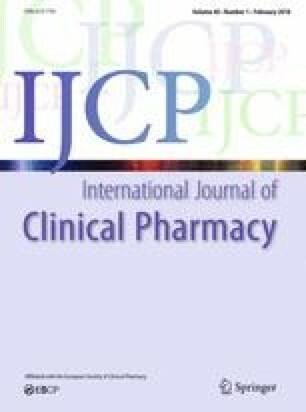 Given that available knowledge and adherence tools seemed to have little validity in predicting clinical outcomes, structured tools should be designed, considering progression in clinical outcomes with future pharmacists’ interventions. The authors would like to acknowledge the administrative team at the Security Forces Hospital in Riyadh for their approval and support to conduct the study. We are grateful to all patients who agreed to participate in the survey and contribute to this research, and we are grateful to all of the cardiologists at the hospital for clinical data acquisition. There are no potential conflicts of interest to report. Testa S, Zimmermann A, Cancellieri E, Bassi L, Paoletti O. Telemedicine for managing patients on oral anticoagulant therapy. In: Graschew G, Rakowsky S, editors. Telemedicine techniques and applications. 2014. ISBN: 978-953-307-354-5. www.intechopen.com.